Chelsea is one of the Big Four club in English Premier League and won number of titles there. They are also the defending champion of EPL but it seems that they are going to miss the title this season.Currently at the ending position of the season, they are in 5th position. And now it would not possible to recover their points with the top points holder team. However, Chelsea stumbled at the home venue in their last match in Premier League. The match was against West Ham United and it was hosted at the Stamford Bridge. 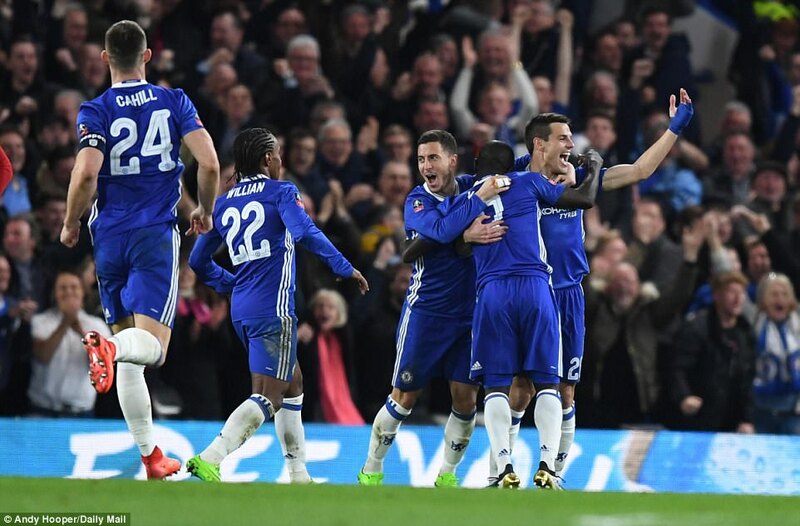 At the first half, Chelsea scored a goal against the guest team and went ahead but in the 2nd half, they failed to maintain it. At the home venue against West Ham United they finished the match with draw and so, the team of Conte left the ground by dividing points. At Stamford Bridge in last Sunday the match ended with 1 – 1 goal in EPL. West Ham is a lower ranked team in EPL where they are in 14th position on EPL ranking currently. They played total 32 matches in the season of Premier League and won eight times only. On the other side Chelsea is in far better condition than West Ham where they played the same number of matches but won 17 times so far. In 36th minutes of the game, Chelsea used an opportunity and went ahead. Moses made a corner and through the head the ball went to Azpilicueta. The Spanish defender made a light touch to the ball and got the first goal of the match. First half finished with 1 – 0 goal. However, in 73rd minutes of the game, West Ham returned to the game. The cutback of Arnautovic, Mexican forward Javier Hernandez made the goal with a strong shot. The rest times, West Ham detained Chelsea and so, they left the ground with draw. So, now by playing 32 matches with 57 points Chelsea is in 5th position. Chelsea is in bad luck this season. They ruled out from the Champions League round of last sixteen. Against Barcelona the apprentices of Conte did not get comfort and considering two legs, Barca beat them easily. Now, they are also going to miss Premier League. But Conte hopes to finish the season by standing on a better position.